I can’t believe I am even saying this but this year, we are going to see the return of a 70’s pant trend. Wide leg pants are back and they’re going to be everywhere this season. For fall fashion 70’s style was a popular trend on the runway. This summer we saw alot of Kmono’s, folk prints, and jumpsuits that were reminiscent of 70’s style. However, the most popular trend returning from the 70’s is the wide leg pant. I’ve been seeing quite a few of them over the summer so far but as soon as September hits its going to be harder to find skinny leg pants like it was hard to find bootcut when Brittney Spears made low rise pants hot. While my fashion loving heart will always and forever be a skinny pants/jeans lover, I am always down to try something different. 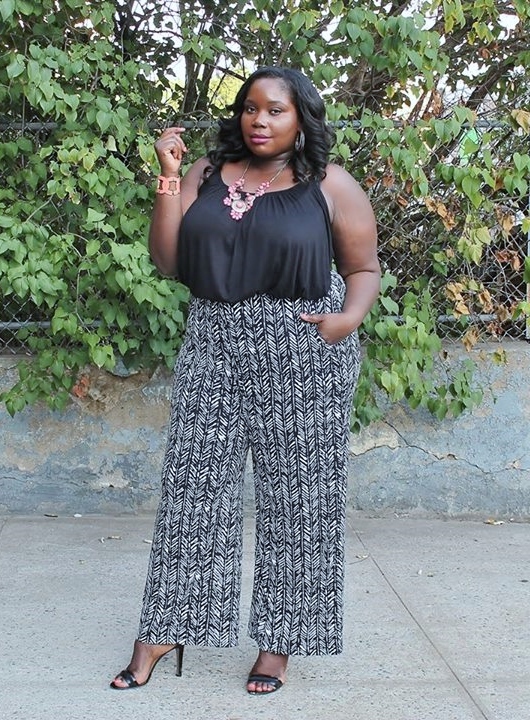 Wide leg pants can be scary, especially when you’re a big girl. They can either make you look bigger, bulky, and they can just look down right unflattering. However, regardless of your size you can make them work for you. It’s all about finding the right cut, fabric, style, and most importantly, creating the right proportions. 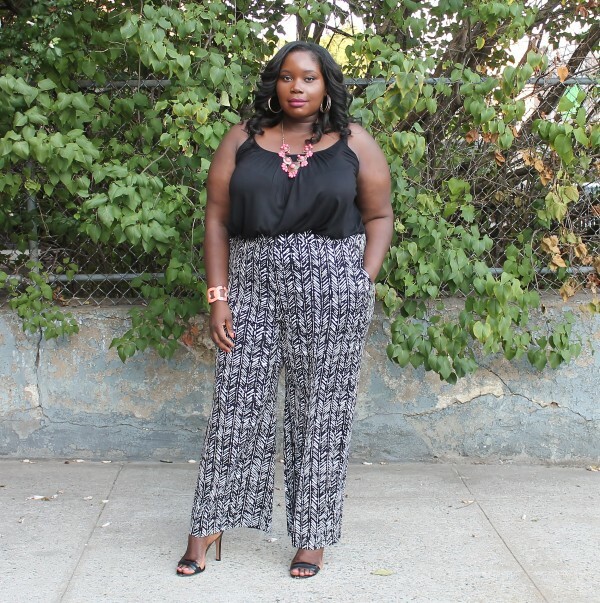 So, I say, Who says plus size girls can’t wear wide leg pants? They were wrong. 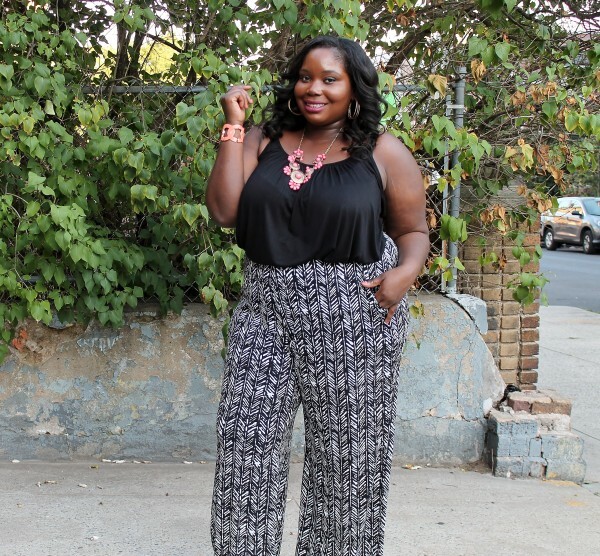 Recently, I found my favorite summer pants, which are a pair of Lane Bryant simply chic matter jersey stretch printed wide leg pants. From the moment I slipped them on in the dressing room, I was in love. We fit together, literally. The pants have a banded elastic waist. They skim over the hips and thighs and then mildly flare out at the bottom. Since I have a big booty and wide hips, along with a gut ( I like to call it a triple threat) I paired the pants with a solid colored cami from Swak Designs. I love Swak cami’s because they have a nice draping effect and when tucked in they look even better. The top and the pants together gave me more of a shapely look oppose to making me look wider. I added a coral colored statement necklace to draw the eye up. Since the pants had a lot of volume in the leg area, I chose a pair of ankle strap sandals to also balance out the volume in the pants. 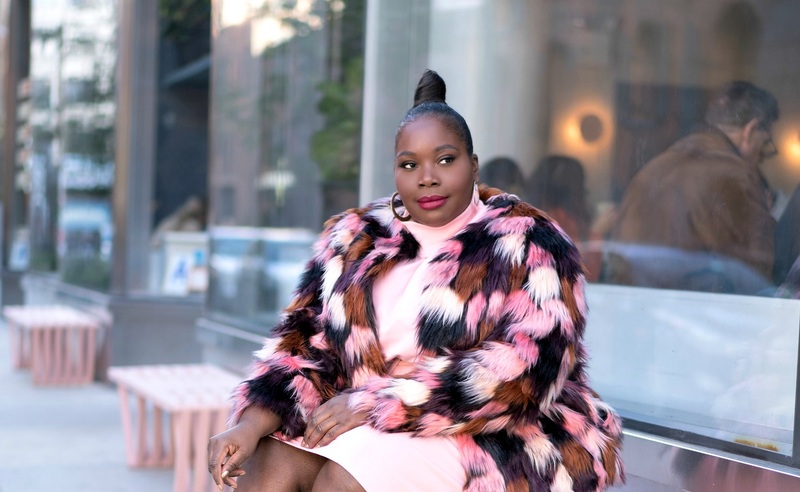 What makes these Lane Bryant wide leg pants perfect is the print and the fit at the waist, hips, and thighs. 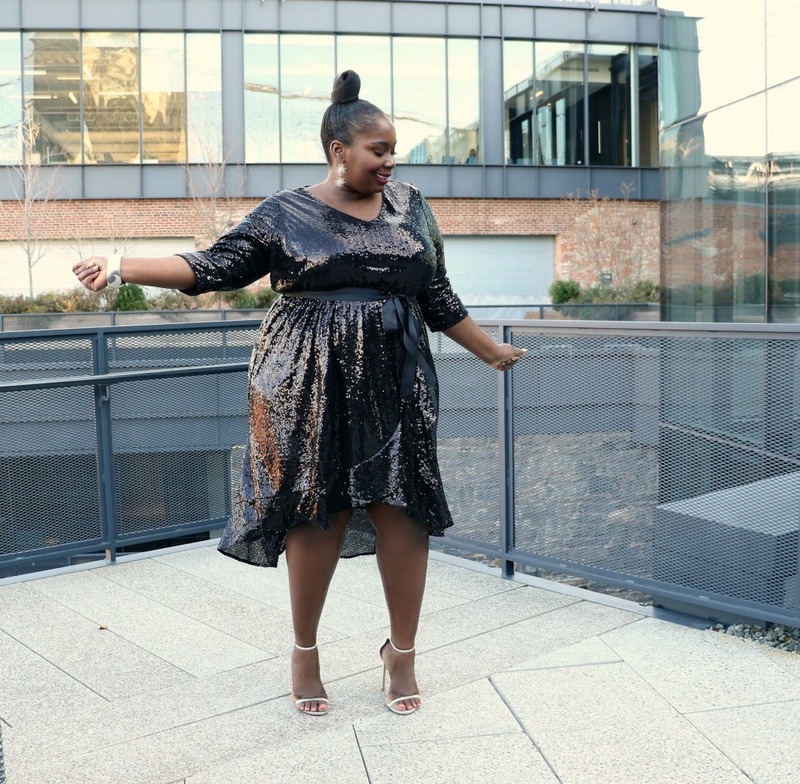 Small to medium prints can actually make you look smaller when you’re plus size. If you’re hippie or have ample booty, pants that skim over the widest part of your body offer a much more flattering fit because they’re not skin tight or too loose and baggy. The proportion I created was slightly fitted at the top and voluminous at the bottom. It still shows that I have a waist and the pants aren’t swallowing up my legs. I read this article and found it very interesting, thought it might be something for you. 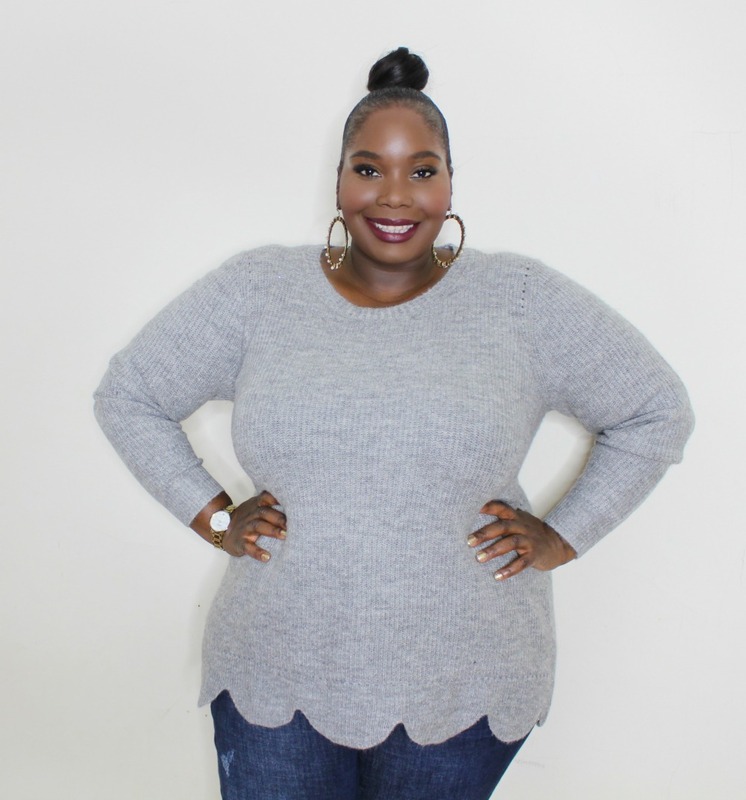 The article is called Who Says Plus Size Girls Can’t Wear Wide Leg Pants and is located at https://stylishcurves.com/who-says-plus-size-girls-cant-wear-wide-leg-pants/.